The campus has a couple of food joints, frequented more perhaps by hostelites looking for a change from hostel grub than the occasional visitor. 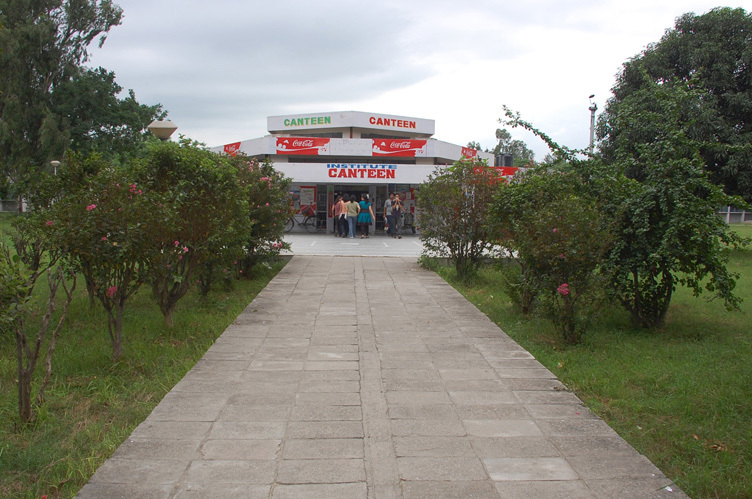 The Campus Canteen is open from 8.30 A.M. to 8.00 P.M. on all week days. A wide variety of South Indian and North Indian dishes are available. A Food Point located near Biotech Department is open from 9.00 A.M. to 10.00 P.M. A variety of Indian dishes are available here.